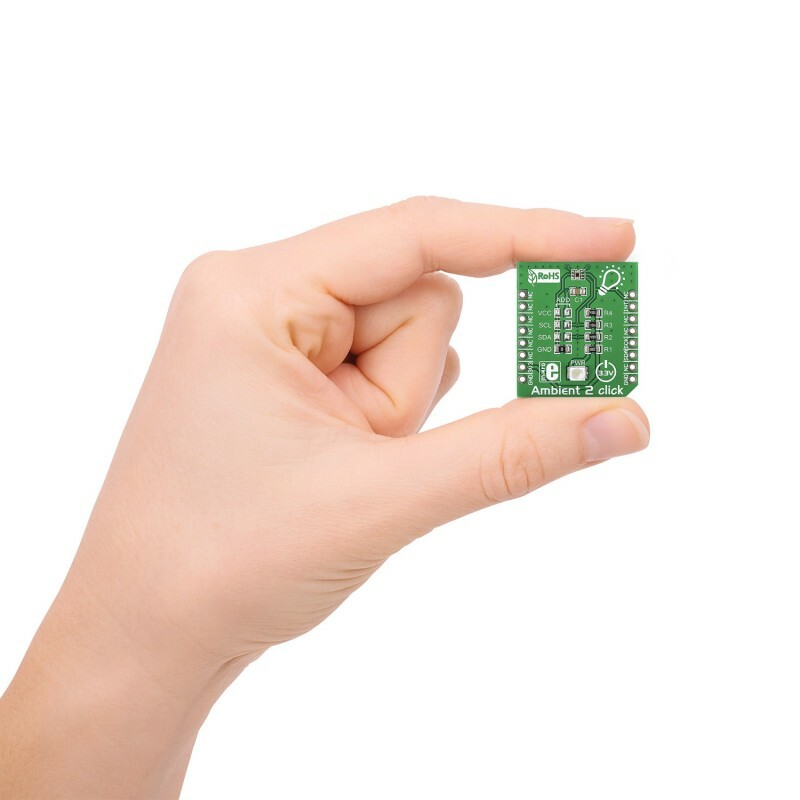 Ambient 2 click carries TI’s OPT3001 Ambient Light sensor. 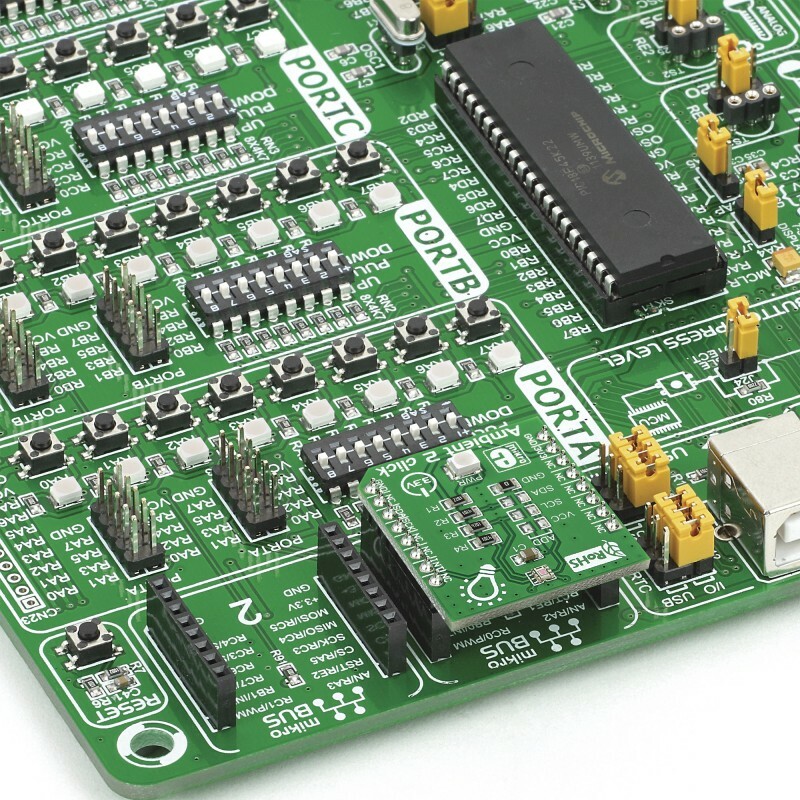 It’s a small (2mm x 2mm) single-chip lux meter that measures only the visible part of the light spectrum from any kind of source (mimicking the way humans see light). 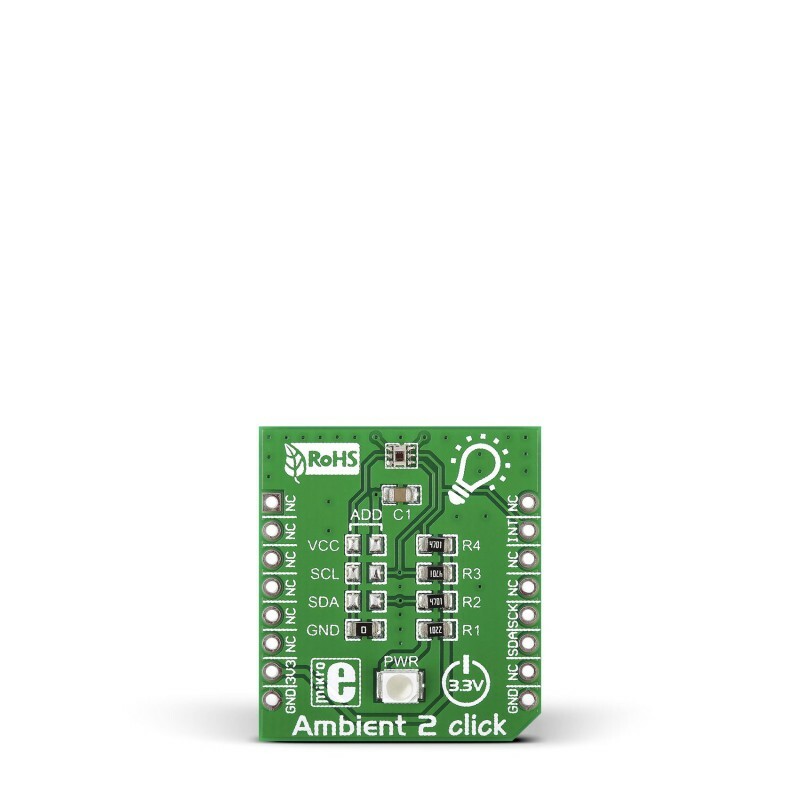 Ambient 2 click carries TI’s OPT3001 Ambient Light sensor. It’s a small (2mm x 2mm) single-chip lux meter that measures only the visible part of the light spectrum from any kind of source (mimicking the way humans see light). It does so by filtering out 99% of infrared light. The measurement range of Ambient 2 click is from 0.01 Lux to 83k lux, and a 23-bit resolution. 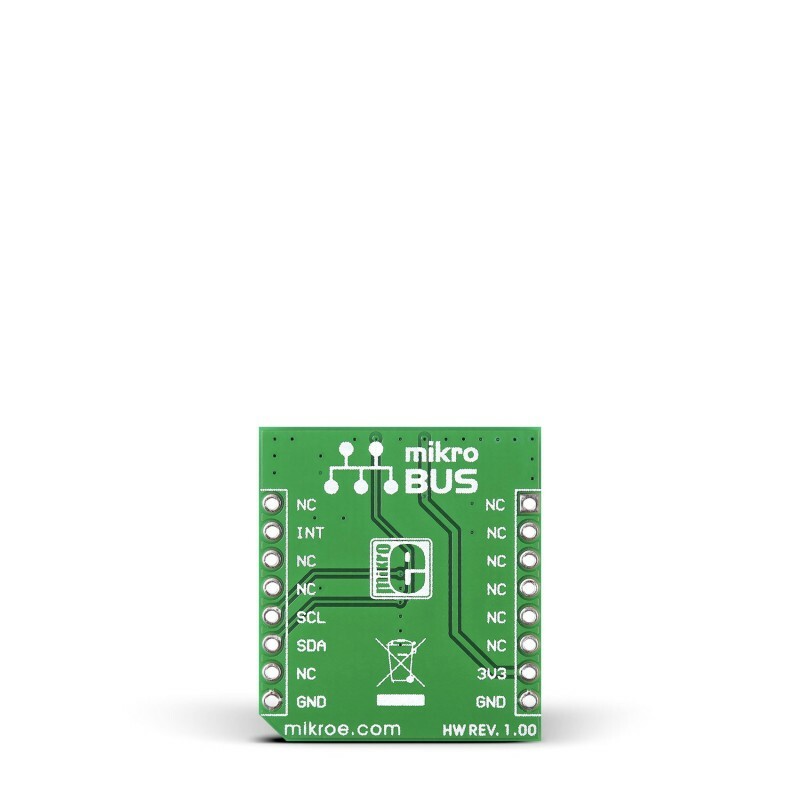 Communication with the target MCU is done through mikroBUS I2C pins, with an additional INT pin which can be used for triggering wake-up events (offloading the MCU).